You are here: Home › Colors › Where is the purple MagicBand? Update August 6th, 2015: A prototype of a purple MagicBand has appeared! Check out the post about it here. Notice anything interesting? That’s right, there is a PURPLE MagicBand in there! 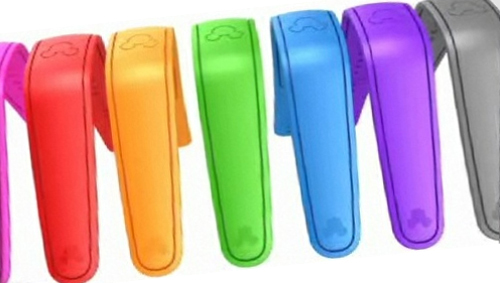 So the question is, why can’t we buy/order the purple MagicBand yet? Rumor has it that Disney has had a tough time with certain colors when it comes to the dye used in the special MagicBand material, and purple just couldn’t stick as a color without fading, bleeding, and other issues. So for the time being, you can’t get purple. This may change soon though, however, as more custom MagicBands come out at the parks, and the need for purple grows. Haunted Mansion themed bands could use the purple color. Other attractions could also benefit from colors like black, brown, and white. 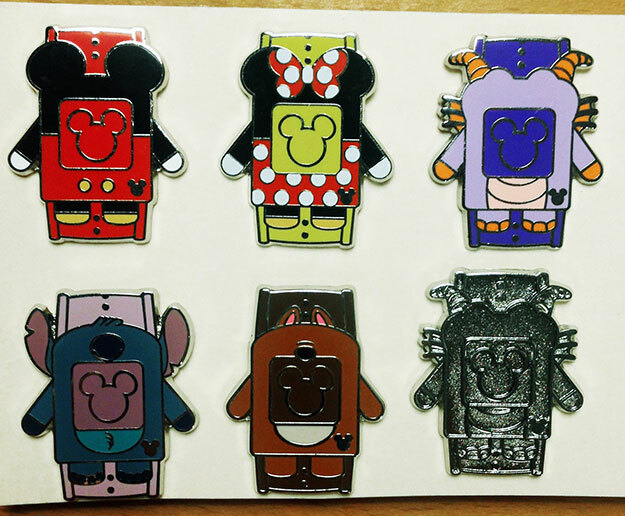 As you can see from these Hidden Mickey pins released in 2014, a purple and brown band are shown even though you can’t get them to wear (yet)! So is this another sign that purple is around the corner? Only time will tell. What color do you want to see? Leave us a comment below!